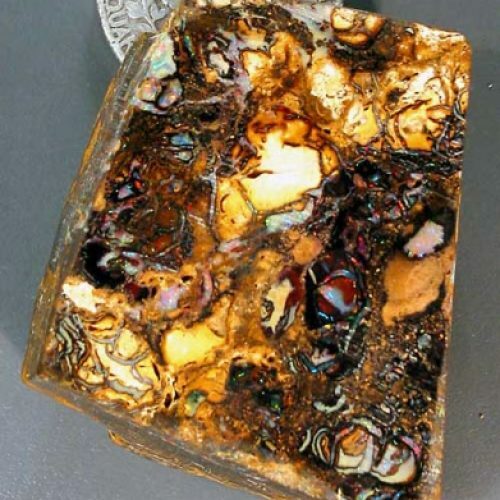 In this category you will find Koroit Boulder Opals that have been cut and polished to show off their unique pattern and colour. They are ready to be used for creations or collection or re-cut as often the polish has been performed by the miner and a gem finish cut can still for added. 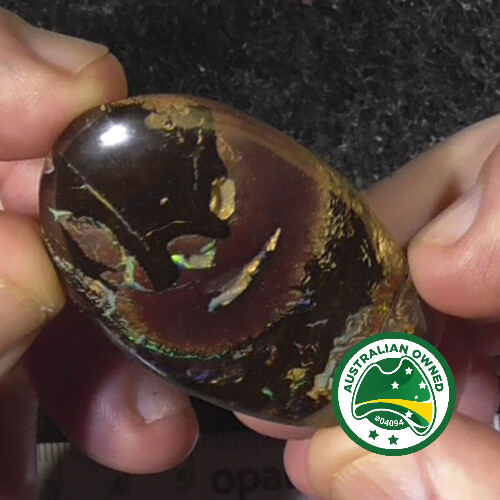 Koroit opals are known for their hardness so experienced cutters with the right equipment is recommended. 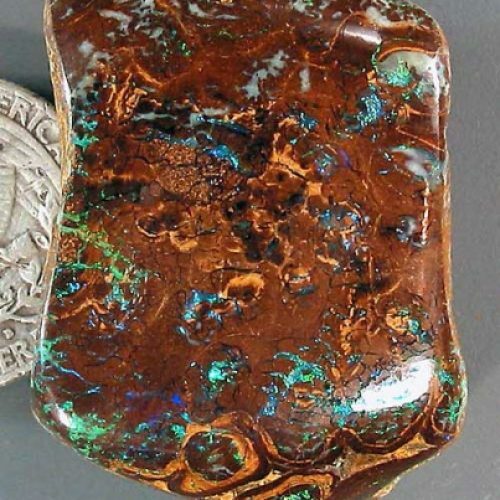 Koroit Opals, are part of the Boulder Opal family which are characterised by solid brown ironstone matrix or layers interlaced with the opal and are the second most valuable opals in the world after Black Opals. 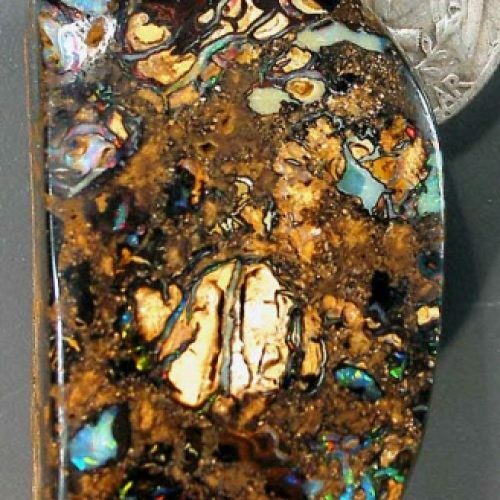 Koroit Opals take their name from the Koroit mining area near Yowah in South West Queensland and are very thought after due to their unique magnificent pattern.